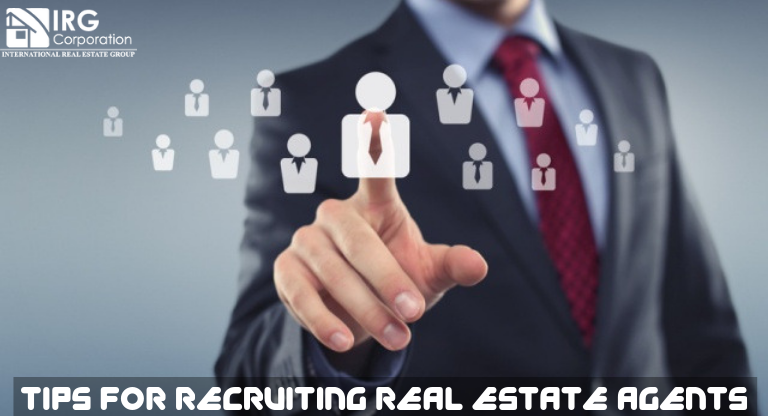 Having a real estate company is one of the main dreams that any professional who starts in this business has, once you achieve it and become a broker, you can be able to recruit new agents that work with you, creating in this way a trampoline for all those who seek to make a name within the market. Ten Internet presence: Today when technology represents a basic platform to find everything you need, digital presence through your brand or your professional profile can serve as supports for when an agent is looking for work. Show what you do through images, publications or blogs and you’ll end up attracting any agent sooner or later. Create an attractive work structure : Everything you represent will be the cover letter to attract agents who are looking for work and one of the main points they seek is that you have a clear work structure that allows them to observe where they are going to arrive as they can opt. Things like study opportunities or specialized courses, punctual tasks that are well distributed and an optimal work environment are basic for your company to be attractive. Presents the ideal scenario : Both professionally and personally this is paramount, to the point that often goes unnoticed, preventing potentially good agents from working with you. The tools to do the right job form the ideal scenario so that anyone who works with you doesn’t want to leave and at this point you and your personnel management have the opportunity to achieve it. Transmits security and professionalism : From the moment of the first contact until the last day they work they must feel in a space rich in possibilities and opportunities in any field, not for nothing, when someone feels good in a place he does his best to take care of him to stay more time. Projecting that you are the best place to be by being careful with all that this entails will project that this matters to you and will be what brings success to recruit agents. Each individual has different motivations, different experiences, different work methodologies and this is where you as a leader must be able to identify who can be the ones to work with you in a team in search of success within real estate . “ The real motivation comes from achievement, personal development, job satisfaction and recognition “. Psychologist, university professor, sociologist and American economist.